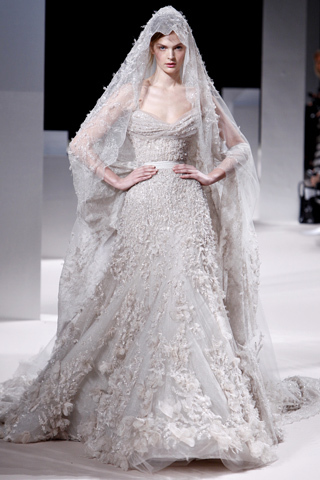 Elie Saab has become an ultimate favourite designer of mine. 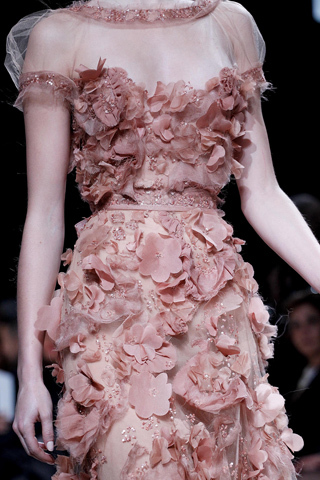 He never fails to make me fall in love with each collection. 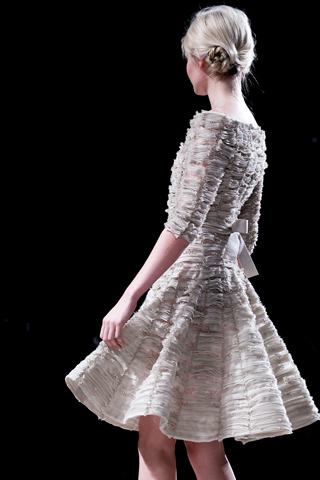 The element of an English romance lurks through these stunning pieces, feminine and youthful. The flowers and beautiful earthy greens and dusky pinks add a soft touch, while the deep reds and mysterious blacks add a daring element. 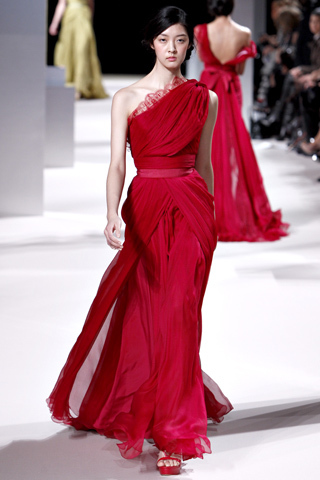 I love Elie Saab. Simple. This collection amazed me, obviously. 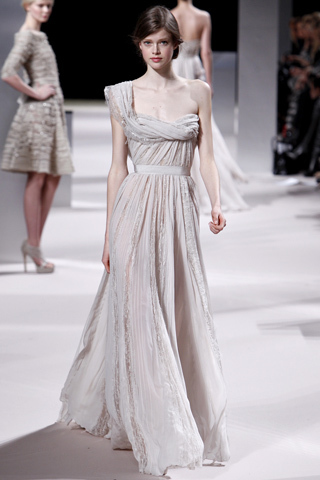 Tulle, draping, lace, strapless, skirt splits and embellishment were all seen throughout this show, it lacked nothing. The models looked elegant, simple and had neat hairstyles with minimal make-up. I always find minimal make-up works best with an extravagant dress, you don't want to draw attention away from your gown! 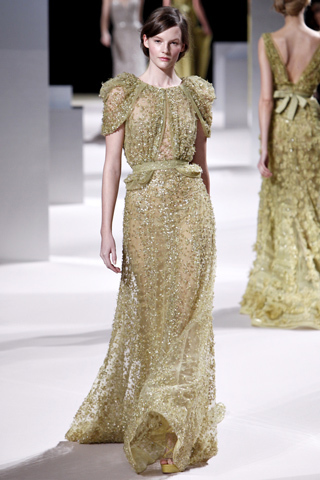 This collection has to be my favourite 2011 Couture collection so far, along with Christian Dior's. What collections are you guys liking the most?